Gold painted styrofoam letters and logos. Styofoam letters may be either card faced and then painted or painted direct to the styrofoam. 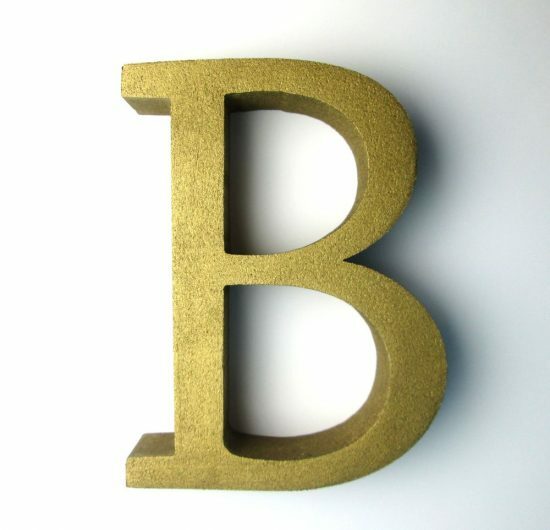 Card Faced Gold Painted Styrofoam Logo. 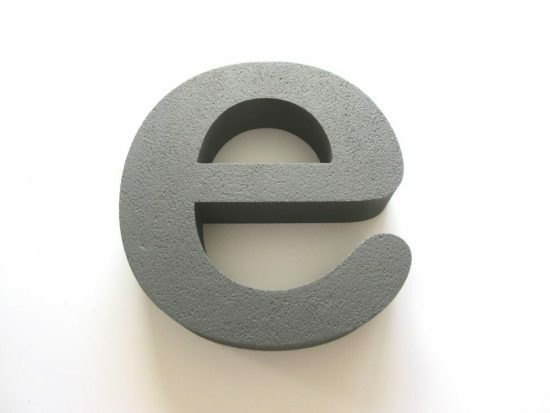 An image of a Styrofoam logo 300mm high by 50mm thick painted in a various matt colours to match the customers specifications. To ask for advice and get a price send us an email with the size of the logo you would like and a visual of it with some colour specifications. 3D logos, Styrofoam painted to the customers RAL colours and then mounted onto 10mm thick clear acrylic for display in an office environment. 10mm thick clear acrylic sign with polished edges and standoff chrome fixings. 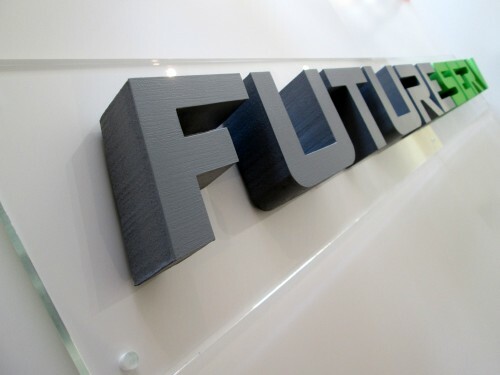 Example shows 1400mm x 200mm sign, 25mm thick letters painted to pantone matched colours.